No sooner do some environmentalists (see item 2 of this Loose Ends post) decide that nuclear power is important and should be expanded then the news comes out this morning that Pacific Gas & Electric has decided to shut down California’s last remaining nuclear power plant at Diablo Canyon in 2025 when its current federal license is up. 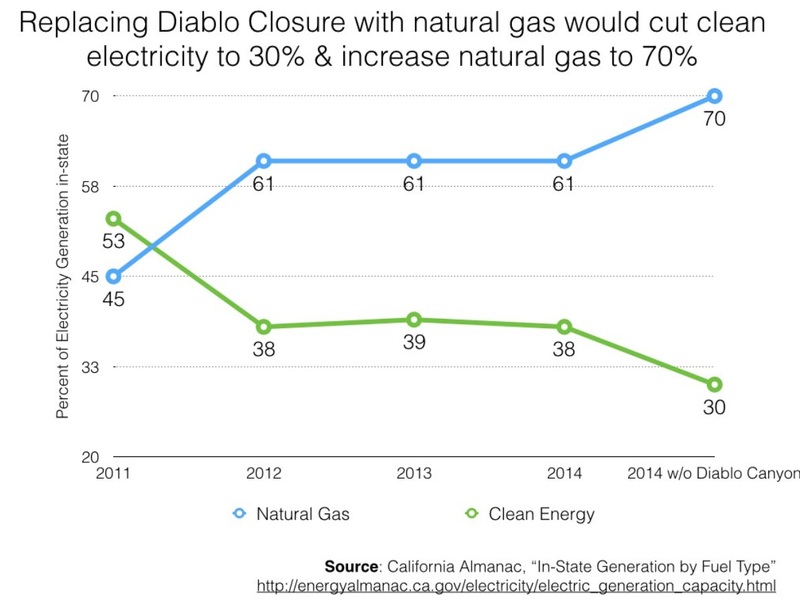 This is great news for natural gas, because despite what the climatistas (and PG&E’s PR department) say, the gap will mostly be filled by natural gas. If you’ve stopped laughing, and read between the lines, you can figure out from certain code words (“energy efficiency” “demand response,” etc) that the expectation is that California will use less electricity. 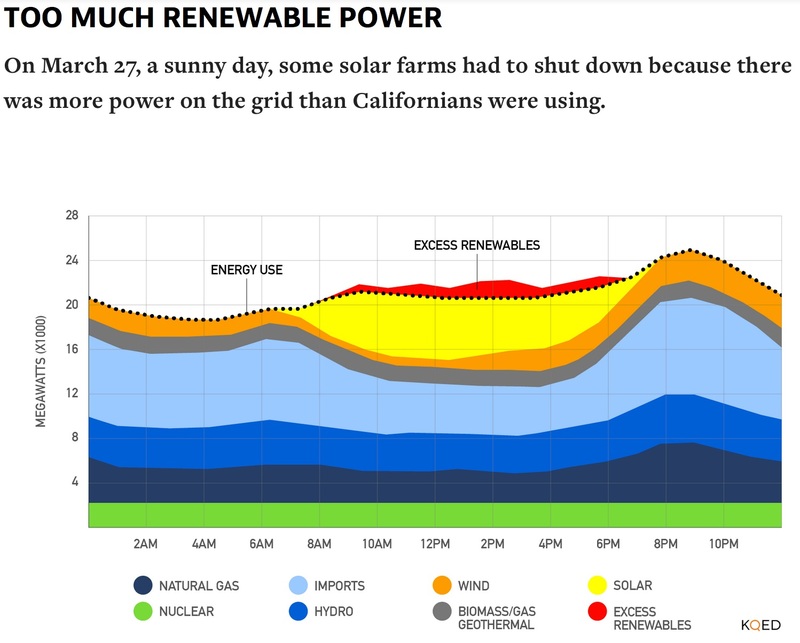 But even if California puts up more windmills and solar panels to replace Diablo Canyon’s massive 24/7 output, the gap will certainly be filled by natural gas backup plants, which will be running all day even if they aren’t generating electricity until the evening when the “duck curve” kicks in. What is the “duck curve”? 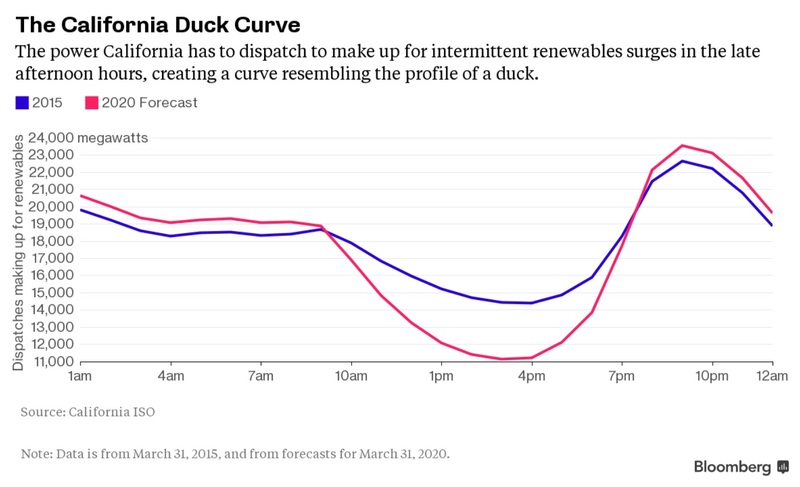 It’s the shape of California’s electricity demand curve in an average day, and it looks like the curve of a duck’s back as power demand goes down in the middle of the day, when solar power is producing the most electricity, and goes up in the later afternoon and evening, as solar output declines rapidly. (Wind power is more variable still.) 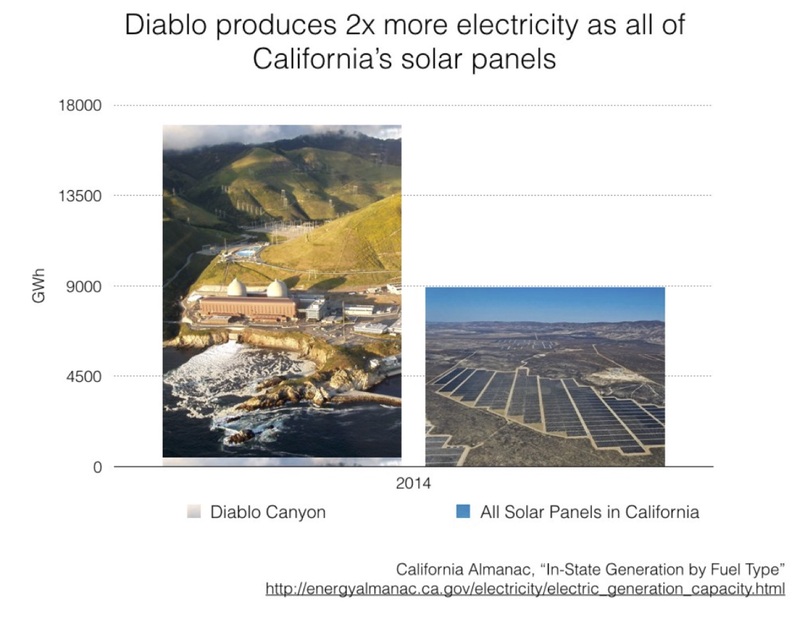 As the state builds more solar power, the problem becomes worse, as seen in the first display of the duck curve for 2015 and the projection for 2020. What this means is that a continued buildout of “renewable” “capacity” will not lower California greenhouse gas emissions to the same degree. Oh yeah, give PG&E a Green Weenie for their suckup to “renewable” energy. And who said this? It was David Siri, the executive director of the Sierra Club, in 1966.